We’ve signed up for the first ever Big Weekend in Essex on April 1 and 2, when the county’s residents will be able to visit some of the best attractions and days out in the county – including Barleylands Farm Park – for free. Organised by Visit Essex – in partnership with Essex Tourism Week – the Essex Big Weekend is all about giving Essex residents the chance to discover – or rediscover – the tourist attractions on their doorstep. 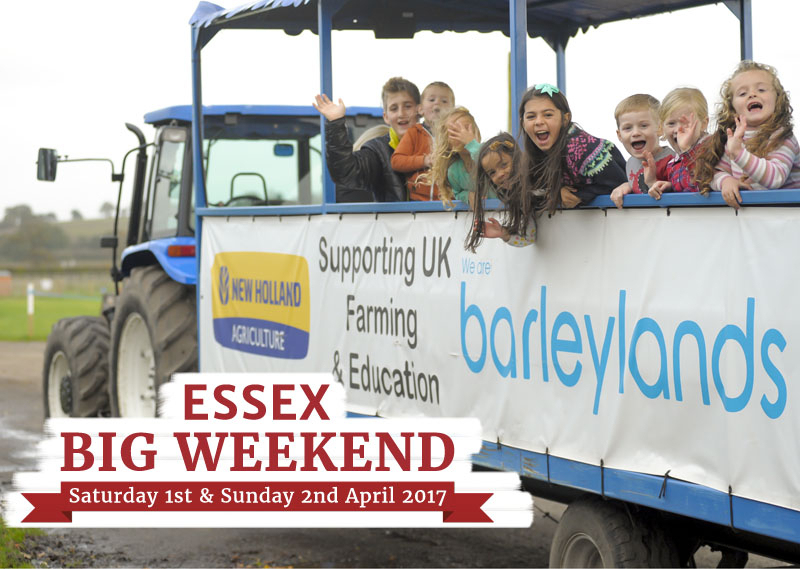 Barleylands will be giving away 250 pairs of free tickets for the Essex Big Weekend when it takes place this April. April is a great time to visit Barleylands in Billericay as its lambing season at the Farm. Residents can bid for tickets here.